First there was the Instagram feed. The genius of it was the filters, which let everyday people pretend like they were Ansel Adams. When the feed got too “permanent,” Instagram gave us Stories, a way for people to share without having to look like they just stepped out of a Hollywood set. But some Stories are really, really, ridiculously good. They deserve better than that cruel 24-hour lifespan. Some stories deserve to be HIGHLIGHTED. Brands, Businesses, Countrymen… listen up! Content that’s more suitable for Stories, instead of the regular Instagram feed, can now survive indefinitely. There’s a brand spanking new location for your best and most important content, giving you additional ways to attract, engage with and inform your audience. Brands and influencers recognize the power of Highlights, and they’re using them in all sorts of creative and practical ways. Their ideas offer an excellent springboard when developing your own content, and the mistakes they’re making serve as good learning lessons. In this article, we’ll cover brands and influencers, both large and small, who are making the most of their Highlights. We’ll show you what they’re doing and explain why it’s working. Plus, we’ll give you a few tips for doing it even better. In case you’re unfamiliar with Highlights, let’s quickly get you up to speed. Highlights are customized groupings of your Stories that show up in a row underneath your bio. You can add multiples Stories to a Highlight. Your newest Highlight will show up in the first position, and your bio shows your five most recent Highlights (scroll to see the rest). You can create as many Highlights as you like. Highlights are great for a number of reasons, many of which we’ll cover in this blog post. Most importantly, you can catch the attention of people who missed your Story the first time you posted it. You can also edit and adapt Stories to make them highly relevant as a Highlight (i.e. informative without extra, unnecessary images; inspirational without time-sensitive content that will be outdated soon). Now, let’s see how brands are taking advantage of this new tool. What they did: Enhanced basic posts, got their community involved and promoted a cross-interest. This all-things-food account has recipes and cooking how-tos, plus tips for cleaning and organizing the kitchen. Their Highlights add to their regular posts and also showcase some behind-the-scenes action. Here’s a regular post in their feed, followed by a Highlight that dives deeper into one-pot meals and includes a link to their blog post about slow-cooker recipes. 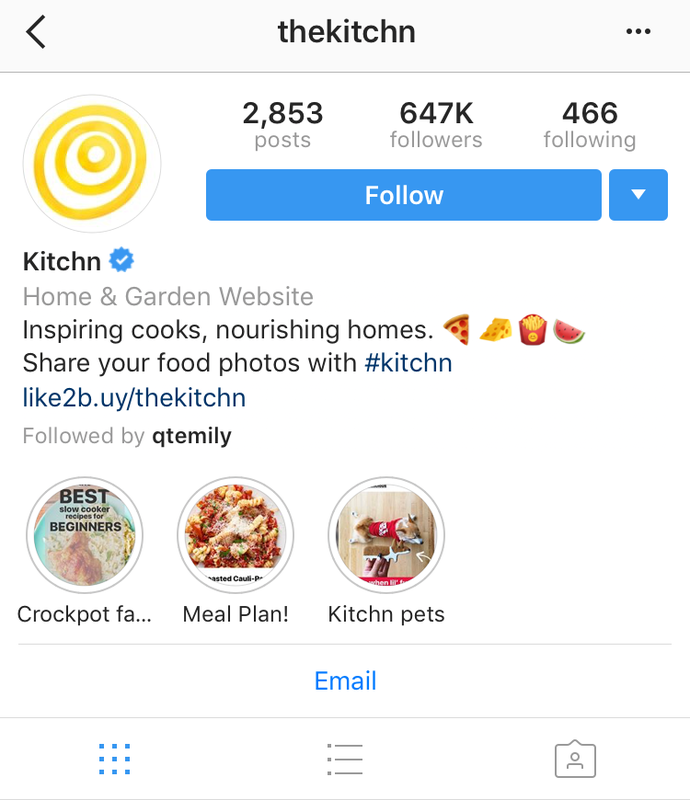 They also have a Highlight called Kitchn Pets where they post images of furry friends in the kitchen, from both staff members and their audience. What they did: Answered frequently asked questions. 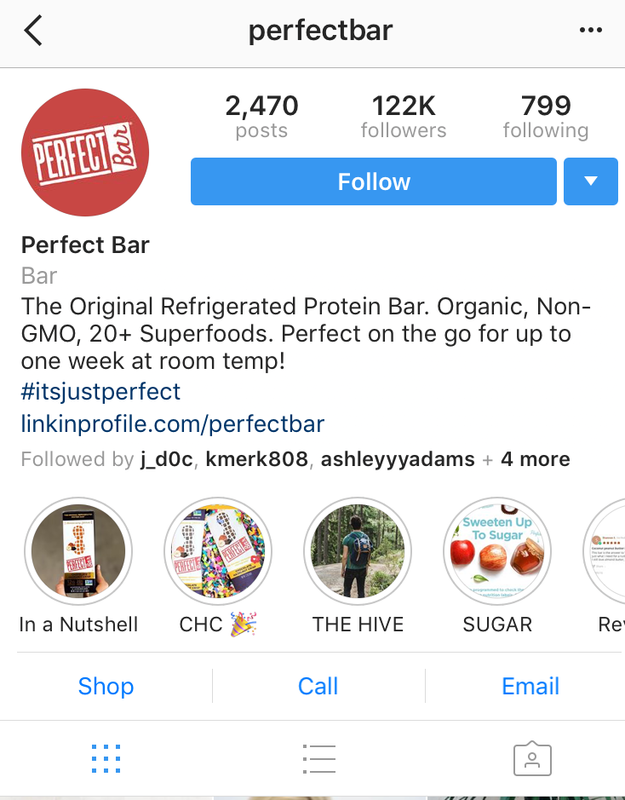 Perfect Bar, the makers of organic, non-GMO protein bars, has a Highlight called In a Nutshell, where they answer commonly asked customer questions. Each In a Nutshell session has a theme, but even older FAQ sessions are included in the Highlight. Some of their answers have extra links so that you can find out even more, like this one, which links to their Where to Buy page. What we like most about their question-answer series is that there are audio, video and text overlays, so you can find out the answer even if you want to watch with the sound off. What they did: Solved a pressing problem and showcased their strength at the same time. 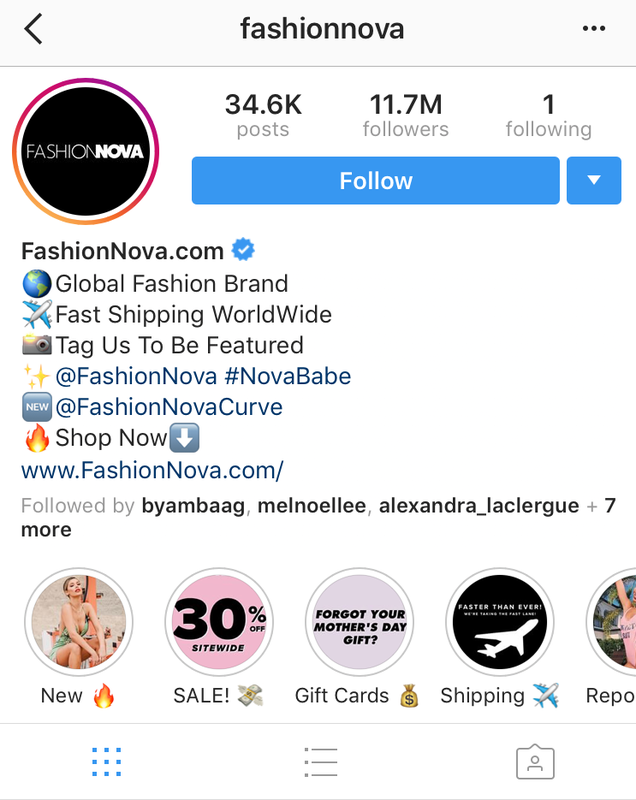 Global fashion brand Fashion Nova relies on their ability to ship worldwide fast, so it’s not surprising that they have a Highlight dedicated just to shipping. It seems as though some customers had issues with shipping in the past, so the Highlight uses rave reviews to show that this has been solved, while simultaneously communicating to new customers that, yes, they have lightning-fast shipping. Two birds, one Highlight. What they did: Made an appearance at an industry event. This fashion rental service attended New York Fashion Week and created Highlights for each of the three days they were there. NYFW lasts for longer than 24 hours, and Highlights let Le Tote’s content live during the entire time they were there (and beyond). They used the hashtag #NewYorkFashionWeek, which was undoubtedly trending during that time. 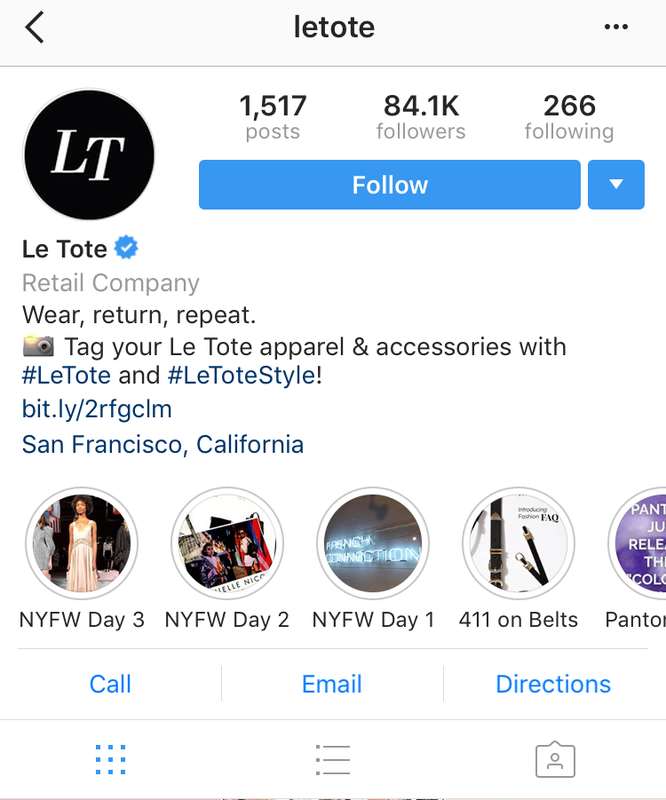 They tagged specific designers and brands, and if any of those accounts decided to re-post the Story, Le Tote would immediately expand their reach. There were several opportunities to add location tags, which would attract people in the same area. By keeping these Stories in their Highlights, they show their audience that they’re a fashion company that’s immersed in the industry. By showcasing their time at Coachella with their Highlights, Pura Vida was able to do something similar to these examples. What they did: Promoted a blog post. If you have a blog post that you want to get more eyes on, posting an image to your feed is going to quickly get buried as you add more. A Highlight will continue to attract viewers as long as you keep it up, which can help you drive a lot of traffic to an individual blog post. 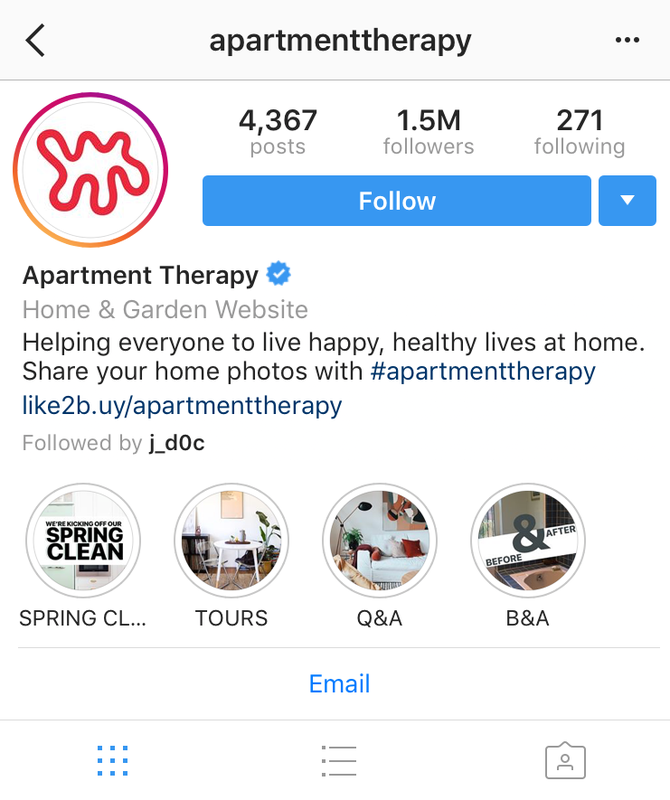 Apartment Therapy, which has everything from design advice and house tours to real estate listings, uses their Tours Highlight to showcase homes and get people to their website. They give you just enough in the Highlight to make you want more, then add a slide that you can swipe up to go directly to their article. What they did: Recruited people to fill job openings. 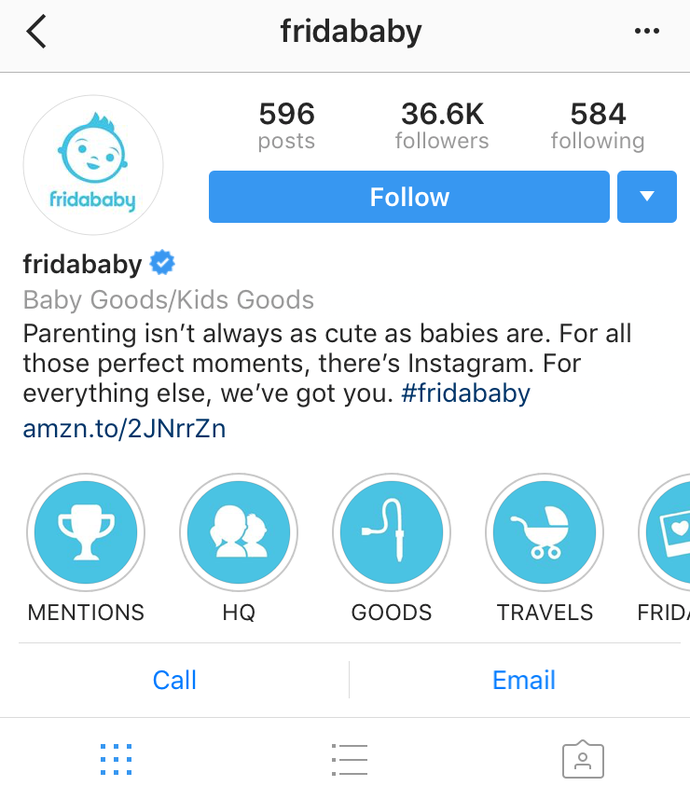 Fridababy, which sells products for babies and kids, has a Highlight dedicated to recruitment. You can find out the type of team member they’re looking for, which open positions are available (and where), and how to apply. The people who love your brand are already on Instagram, so why not use it to find the perfect match for your open position? A third-party job site may reach decent candidates, but by posting openings right on Instagram, you’re attracting people who already know all about your business. What they did: Celebrated a social media holiday (and promoted their locations, too). 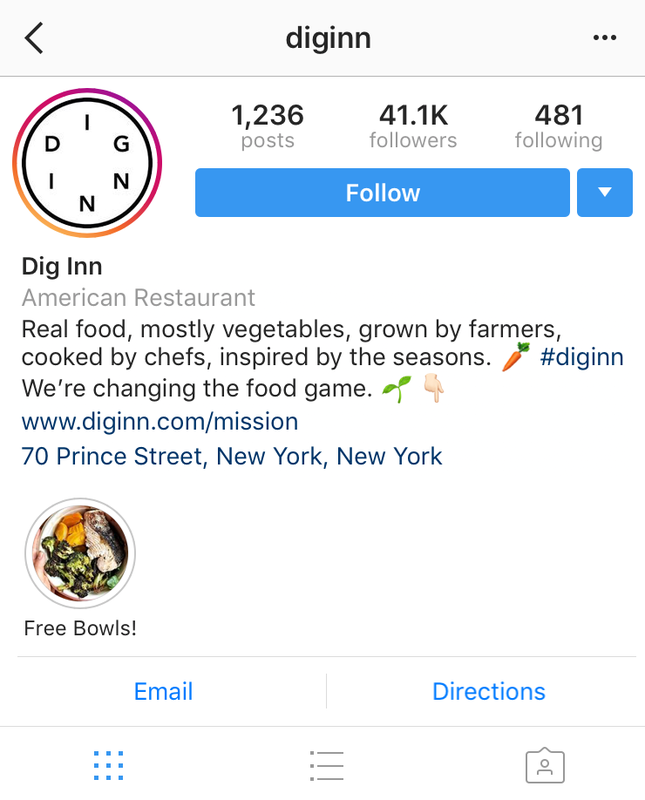 Dig Inn has a number of eateries in Boston and throughout the Greater New York City area, demonstrating a more progressive way to source, prepare and serve food. They used one of their Highlights to capitalize on the social media holiday Pi Day, which also gave them an opportunity to feature a few of their restaurant locations. By using the associated hashtag (in this case, #PiDay), you’ll garner attention from people who never heard of you before. Content creation is easier because part of the process – coming up with an idea – is already done for you. You can squeeze in extra self-promotion like Dig Inn did by showing some of their locations. They could have posted a quick, “Happy Pi Day!” and left it at that, but they opted to maximize their reach. One more tip: don’t bother with the holidays that don’t somehow relate to your business or your audience’s interests. There are more than enough to choose from (like the 2018 Social Media Calendar and these Weird Social Media Holidays), so you should never have to force it. That said, you can go a little off the mark if you’ll still somehow appeal to your audience. For example, L.L.Bean used a Highlight to celebrate National Puppy Day. On its surface, this seems like a stretch – L.L.Bean sells outdoor gear and doesn’t have anything to do with animals. A lot of their customers are dog owners, though, and they take them along on their outdoor adventures. What they did: Showed hacks that help people improve their experience at a specific location. 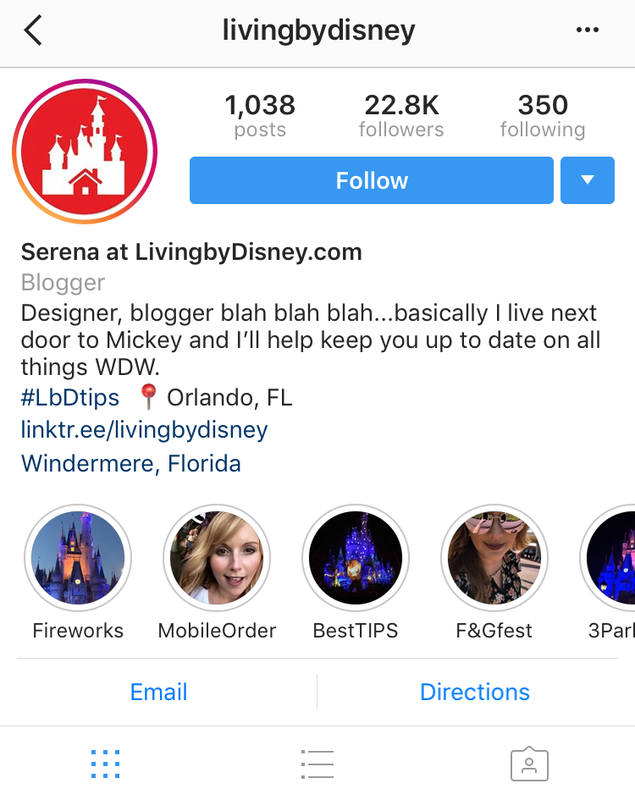 Serena, who runs Living by Disney, uses her Highlights to share hacks for getting more out of your Walt Disney World trip. In this one, she walks you through placing a mobile food order via the My Disney Experience app so that you can get your treat in under five minutes. Here’s why this works so well for Serena: if you’re in Walt Disney World, you don’t have time to read lengthy blog posts (or even search for a blog post at all), even if you really want to know how to do something better, quicker or for cheaper in one of the parks. You probably have time to scroll through Instagram, though, and her Highlights are super quick to find, watch and try out for yourself. Once you see how well her hacks work, you’re more likely to head over to her blog and read her posts during your downtime. What they did: Promoted a branded hashtag. Anthropologie does a lot of things right, so we’re not surprised that they nailed their Highlights, too. We especially like their branded hashtag Highlights, like #MyAnthro and #AnthroHome. For their #MyAnthro Highlight, they feature Anthropologie fans and tag their account. The #AnthroHome Highlight is a bit different, and they do a few things here. Sometimes, they have styled spaces, and you can swipe up to shop the look. They also focus on specific design elements, like this series on classic seating silhouettes. Sometimes they have how-tos, like this one with tips for arranging your bedroom. 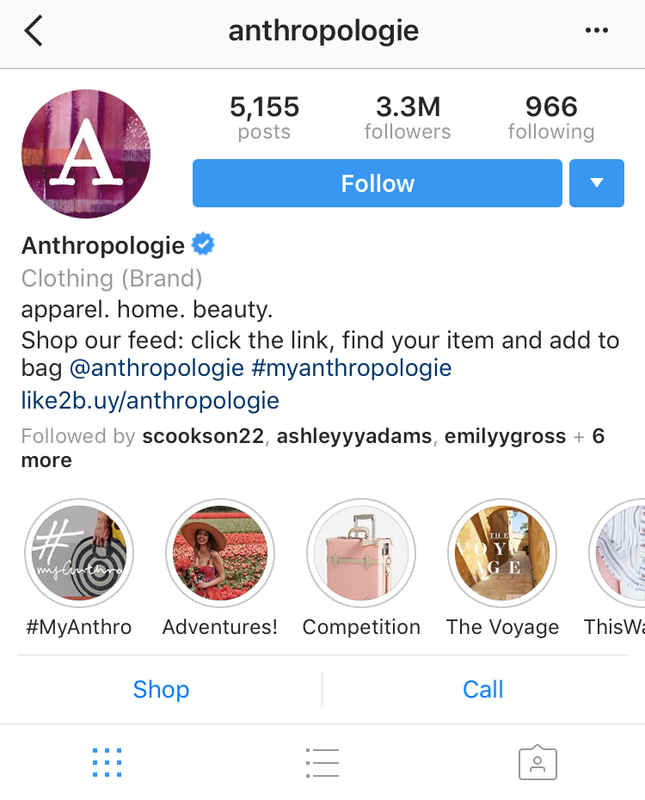 Not only does Anthropologie promote a hashtag that they want others to use, but they also have another opportunity to showcase their products and how they can fit into your lifestyle. 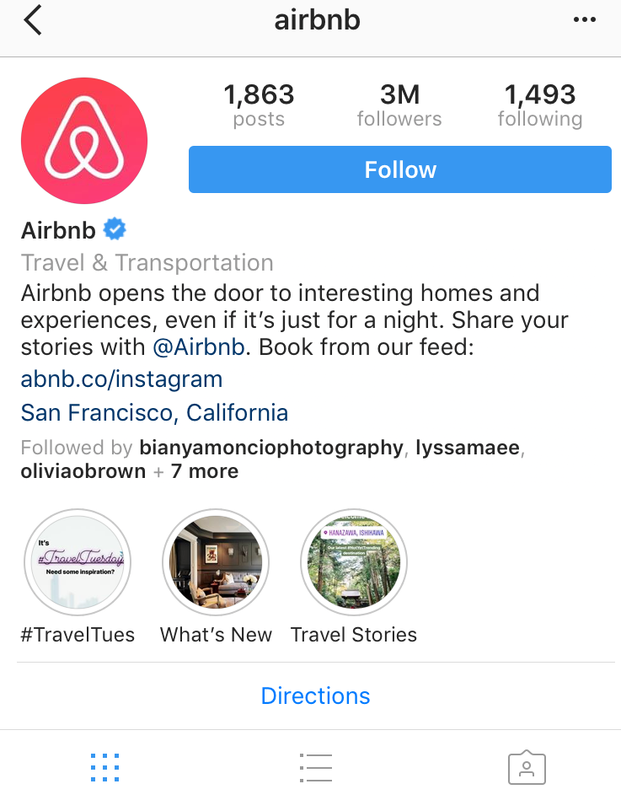 Airbnb does something similar with their #TravelTues Highlight, and they enhance their content with polls, location tags and re-posts from their community. What they did: Showcased an Instagram takeover by a local charity. 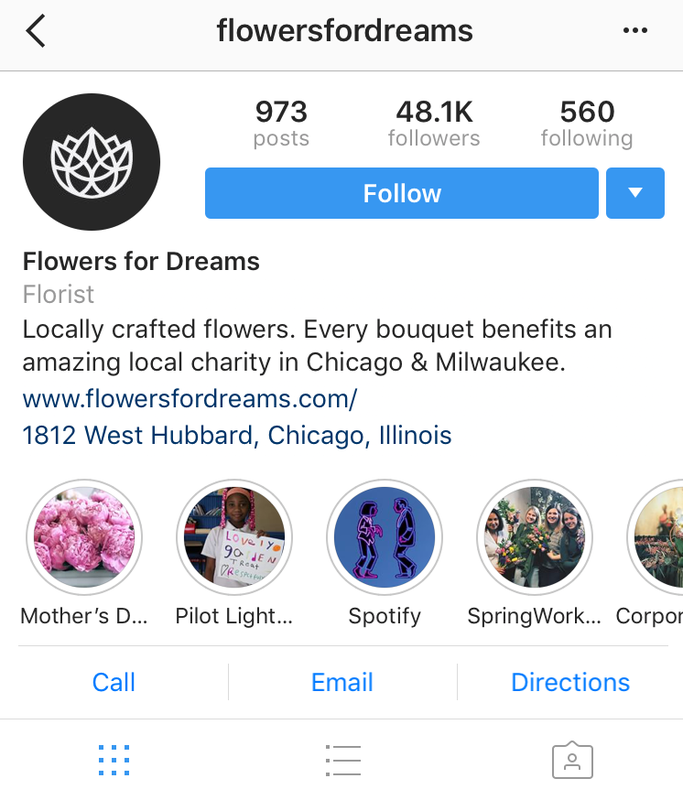 Flowers for Dreams creates bouquets that benefit local charities in Chicago and Milwaukee. They let Pilot Light take over their Stories and then turned it into a Highlight. Pilot Light also posted about the experience in their Instagram feed. Since Flowers for Dreams promotes a new charity every month, having the takeover live in Stories, where it would expire after one day, wouldn’t be nearly enough time to get traction out of it. Instead of trying to create Stories several times a month, they can create one, add it as a Highlight, and then swap it out next month when they have a new charity to promote. What they did: Showed several examples of the blog and sponsored post content to catch audience and advertiser interest. Ambitious Kitchen takes full advantage of the Highlights section to preview all the different topics shared on their blog. 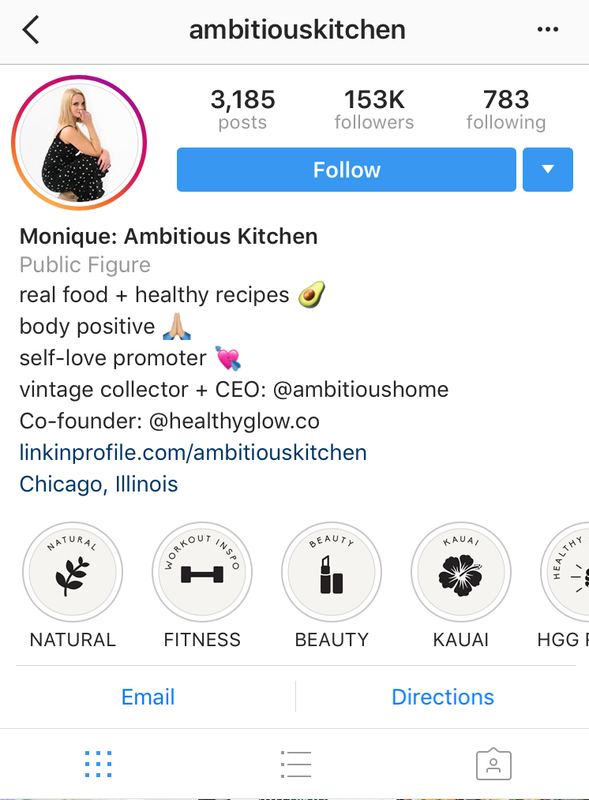 By having each category lined up right underneath the bio, brands can quickly determine if Monique, the woman behind Ambitious Kitchen, is right for a partnership. Each Highlight has a selection of Stories within the theme, which gives brands an idea of how their products would be featured, like these photos from the Style Highlight. By using their Highlights brands can do this to show different types of products they sell. Oh, and one more thing: do it better. Something we noticed as we looked through Highlights from even top brands is that a lot of them have majorly long Stories, with umpteen photos or videos each. 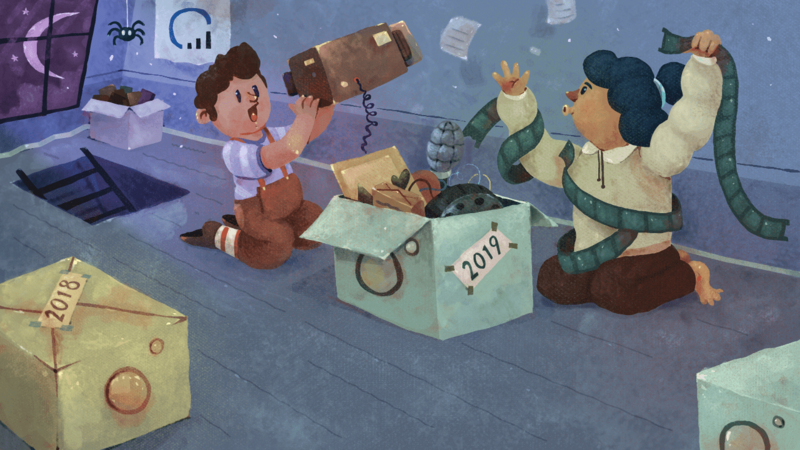 This is a lot to look through, and we feel that most people aren’t going to click all the way through to the end (never mind wait for each and every panel to flip by itself). Highlights are best when they’re just that: highlights of your brand, your products, and your Stories. Prune your Highlights regularly, removing old Stories as you add new ones, and making sure to get rid of anything that’s no longer relevant (like seasonal content). Take more care when choosing your Highlights than you do when tossing up a Story. This is an opportunity to feature the best, most relevant content you have, the photos and videos that are deserving of a permanent spot. How is your favorite brand taking advantage of their Highlights? 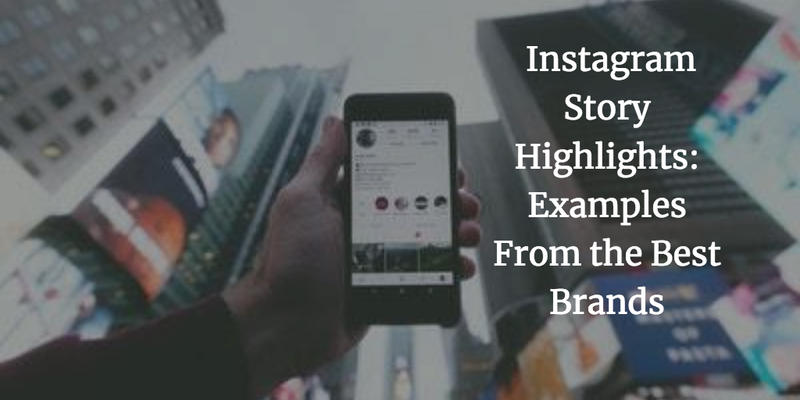 Now that we’ve shown you how brands and influencers are taking advantage of IG Highlights check out our Story Highlights blog to see how you can create your own killer highlights! p.s. Looking for even more inspiration? Check out these 27 creative and funny Instagram photo ideas.